The children are the future is a phrase often uttered in conversation or the media regarding the importance of nurturing coming generations, but do we really comprehend the importance of this? The world is populated by individuals who participate in all levels of society, for that's what a civilization is. These are our friends, family, co-workers, wives, husbands and so on, who contribute to the world we live in as a collective—all of whom were once children. And as many know, things are not going so smoothly in our world today. Would it not be logical to assume perhaps we could improve the methods by which we raise our children to then change society in a positive way? What if we could raise a conscious, empowered, self-reliant, and compassionate generation, one that could think critically, act holistically, and become harmonious caretakers of the Earth? What would the world look like in 20 years? Consider that from birth to the age of six, according to established psychology, the human mind is completely open to suggestion. Bruce Lipton is one researcher who has demonstrated in his work that the people we become in life are largely dependent—about 95%—on subconscious conditioning from these early formative years. In short, the people who contribute to the world we see today were once children who received programming or psychological conditioning from their parents, which means in a very real sense, one of the best ways to change the status quo is by raising an awake, aware, self-reliant and mastered generation. The following article discusses techniques for raising children that grow up to be empowered, awake people. The foundation of this method is the use of unconditional love or unselfish love, to positively reinforce the child itself, not only the behaviors we deem valuable. What should become obvious from reading the following article is that the socially promulgated methods of parenting, which are exemplified in TV shows such as sitcoms, is a conditional love method. When we force our children to perform so as to meet our expectations, above and beyond the acceptance of themselves, we program the child to cultivate disempowering, self-destructive habits and tendencies—an identity of lack and suffering. Clearly the media and its suggested methods of parenting are destructive to society, we need only look out into the world to see the fruit of this. Conditional love methods are the overriding type of parenting operating on Earth today. It focuses on the child's behavior at any given time as the measure of their success, not the evolving mind and personality which are the source of these behaviors. If a child tried to draw a picture, and did a poor job according to the parent, conditional love methods will withhold positive reinforcement because the performance was lacking. This teaches the child that they are not really loved and accepted unless they do certain things, which also teaches them that they should not accept themselves unless meeting a certain standard decided by someone else. Again this teaches the child to value the opinions attitudes and needs of others more than themselves, the foundation of low self-esteem and mental problems. In other words, conditional love methods are destructive to the child's sense of self worth, which creates an identity of internal self-loathing and external dependency. A child ends up subtly feeling worthless most of the time, unless performing some task that meets other people's standards. All of which hinders creativity, fulfillment, and confidence. The kinds of children raised like this end up becoming selfish, narcissistic, impulsive and develop social problems in life—which is arguably most of the population at present. But using positive parenting techniques does the opposite. 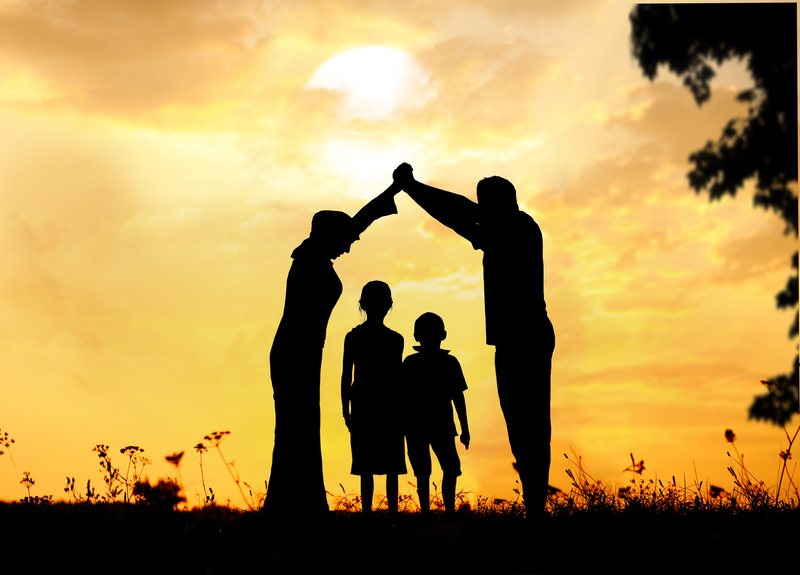 Instead of focusing on performance or an end result, positive parenting focuses on the process. This method unconditionally accepts the child, as they are right now, in fullness. No matter what the child does, methods are used to nurture and support the evolving personality, most especially when performance is lacking. For example, if a child receives lack luster grades at school, a conditional love method would seek to punish the child or withhold support (love), so as to compel them to change their behavior. This is a negative reinforcement technique. Conversely, positive parenting would focus on the process, acknowledging that the child did the best they could, and with more focus and effort, they could do even better in the future—but regardless, they are loved and supported without question. In other words, instead of creating a feeling of lack within the child that compels them to fill the void by meeting external expectations, a feeling of gratitude is nurtured and a sense of accomplishment in who they are now and what they can become if they continue to develop their process. The key is to train the child and the parent to focus on improving the child's skills, knowledge and confidence by not only focusing on the end result as a measure of success. This is the opposite of how parents are taught to raise their children today, which uses a child's performance as the only measure of their worth. Consider Common Core or Performance Based educational methods, pandemic in schools today, as an example of this. 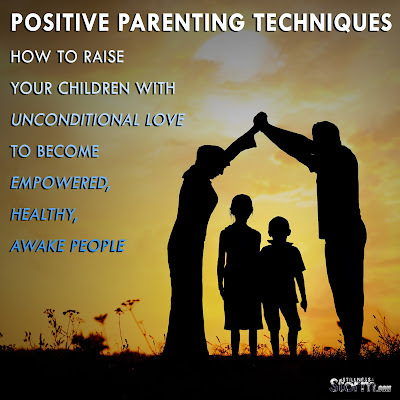 In short, positive parenting seeks to highlight the child's current state in a positive uplifting way, nurturing the process the child is cultivating within themselves—focusing on improving the process itself, which is another way of saying improving the person—their mind—not the performance. To be clear, unconditional love in this respect does not mean avoiding any discipline whatsoever. But when doing these things, the goal is to provide the child the key knowledge and understanding they need to see why we as parents, are disciplining them. When a child asks why this is the chance for a parent to impart wisdom, which is what the child needs to grow. But if they fail to do so, and rely on an authority justification, such as "because I said so," it teaches the child dependency, disempowerment, and self-loathing. The child subconsciously receives a message that says, "you are not good enough and we don't love you right now. Start doing what we want, and we will love you again." As a final note, I have studied human behavior and psychology all my life, not in a classroom setting, but in a boots on the ground capacity. The methods presented below strongly harmonize with a highly conscious and honorable method of parenting in my view. By honorable I mean, it actually nurtures and facilitates free will and the development of rational thinking, the basis of self-mastery or sovereignty. It is a parenting method that does no harm to the child, and as such, ensures future generations will be free from the shackles of emotional trauma and baggage in their lives. Here is a small taste of the Positive Parenting psychological method. Parenthood lies deep within us. We are wired to help our little ones survive and prosper. Modern life, however, has removed us from our natural environment. It can be hard to raise a child in world of fear and distractions. Science and psychology bring back a big dose of reality and give practical tips for how you can help your kids turn into amazing human beings. Carl Rogers, a famous psychologist, believed that all humans have a built-in need for personal growth and self-actualization. To unleash this great power within us, we have to remove our internal blocks . An important part of his theory was our strong need for positive regard. We need others to regard us in a positive light – we need sympathy, love and acceptance. Positive regard comes in two different packages – unconditional or conditional. Conditional positive regard is when parents only show affection when children behave in a way that pleases them. Research shows that conditional positive regard can have long-term consequences. College students who reported that parents used conditional positive regard for emotional control, prosocial behavior, academics and sports performance experienced large fluctuations in self-esteem and how they thought their parents perceived them. They tended to resent their parents . When you’re under the curse of conditional love, you’re never enough. You always have to do better, get better and earn more before you can start loving yourself. Children need unconditional love. They need to feel safe. When they feel safe, they go out into the world and explore. They are unafraid to take chances and mess up a few times, because they know that love will not be taken away. We also have a need for positive self-regard – to view ourselves in a positive way. When we only receive conditional love as children, we learn that we are only worthy of love when we behave in a certain way. We start putting up conditions for when we can feel good about ourselves. A conflict arises between our self-concept and our experience of the world. We start suppressing and denying those parts of ourselves that our parents disapproved of. The simple remedy is: Love your children fiercely, and love them unconditionally. When we receive unconditional love from our parents, we are more likely to love ourselves unconditionally. When we love ourselves unconditionally, we are not afraid to be ourselves because love is always there. If you know that you are putting up conditions for what you need to do or accomplish before you are allowed to love yourself; let go, right now. Forgive your parents. Forgive yourself. The moment to decide is always right now, in this present moment. Decide now that you will love yourself unconditionally. The decision is the first step. Give the same gift to your children. Carol Dweck is a professor of psychology at Stanford University. In her mind-blowing book, “Mindset: The New Psychology of Success”, she shines the light on how our mindsets affect our performance. Her focus is on the difference between having a fixed mindset and a growth mindset. People with a fixed mindset believe that intelligence and ability is fixed by our genes and that these inborn abilities determine our level of success. Those that have a growth mindset believe that they can learn and achieve anything if they put in the effort. Our society is fixated on talent and natural inborn ability in high-level performance. But this view of performance doesn’t hold up to scrutiny. Research shows us, again and again, that hard work and effort is the secret sauce behind mastery. One longitudinal study showed that self-discipline outdoes IQ in predicting academic performance of adolescents . Another study showed how praise for children’s intelligence undermined both their motivation and performance . The “smart and intelligent” kids tend to fall by the wayside as soon as they hit difficulties. Children given praise for their ability give up faster than children given praise for their effort . Do You Ignore the Effort Behind? The problem with amazing performance is that it is difficult to understand. Usually, we do not see all the work behind it – we only see the performances. Cognitive neuroscience has shown us that we humans take many shortcuts in our thinking. One of these shortcuts is WYSIATI – “what you see is all there is” . We make decisions based only on what we see – “Known Knowns”. And we tend to ignore what we don’t have information about, but know to be relevant – “Known Unknowns”. We completely ignore “Unknown Unknowns”. Talent becomes an excuse for why we are not great ourselves. It is easier to attribute other’s success to their inborn talent, because then we do not have to look at ourselves. But what we believe to be talent is always the result of thousands of hours of hard work and effort. This is the message children need to hear – you can do anything if you put in the effort required. When you give your kids praise, focus on their effort. This primes their minds for more effort. Always focus on the process and not on results. The process is always within their control. They decide how much effort to put into it. Results, on the other hand, are to a large degree outside of their control. Focusing on the process also teaches them to be more present to what is happening. Teach them that the brain is a learning machine that they can constantly upgrade. Over time they will develop the belief that they can do anything. This is related to the concept of unconditional positive regard. Praise for results can easily be mistaken as conditional love. Lev Vygotsky, a famous russian psychologist, viewed children as busy explorers, thirsty for knowledge. He emphasized how cultural and social factors influence how children develop . Three of the central ideas in his theory were private speech, the zone of proximal development, and make-believe play – parents have a vital role in all. An important part of children’s development is private speech. Children talk to themselves to help their thinking and solve tasks. As they get better at cognitive tasks, the speech slowly turns internal. Research the last three decades supports Vygotsky’s view . Children who use private speech to help them in challenging tasks are more focused and better at solving problems than children who are silent. Children learn private speech from grown-ups who have mastered the learning zone. Intersubjectivity is when the parent and child start with different understandings, but arrives at a mutual understanding of the task . Parents promote intersubjectivity when they take their more advanced insights and boil it down to something the child can understand. The child has to stretch his or her mind to understand the parent, and is drawn into the more mature way of thinking. Research shows that when parents use intersubjectivity in a good way, children develop faster in competencies such as attention, language, complex play and understanding other’s perspectives [10,11]. Parents do this by being supportive, stimulating and responsive. Scaffolding is adjusting the support or guidance to fit the child’s level of performance. This can be done with direct instruction, breaking the task into smaller more manageable units, suggesting tactics or strategies or by explaining how things can be done. When the child becomes more skilled the wise parent gradually withdraws support until the child is independently solving the task. Children often start using the language of these discussions for their private speech. This helps them organize their thoughts. “Ken, the 16 month old, is trying to put different shapes into a box. He has to put them through the correct holes to get them in. He picks up the square peg and tries to fit it into the round hole, but it won’t go in. He tries several times before he looks at his mom, slight irritation showing on his face. The first thing he sees is a patient, smiling face. Research shows that when parents use scaffolding in a good way, children develop faster in attempting to solve difficult tasks, cognitive development, mature thinking and academic competence . Parents’ encouragement and emotional support, and their gradual responsibility transfer to the child, predicts how much effort children put into tasks . According to Vygotsky’s theory, make-believe play is an important part of how children develop their cognitive abilities. It is a great platform for children to try out a wide range of skills and might be the most important source of development before they start school. When they engage in make-believe play they learn how to act from internal ideas instead of just reacting to the environment. And, since make-believe is rule-based, they learn to think before they act and to control their impulses. It is also a great way for them to learn social norms and expectations. Research also shows that when children act out dramatic plays, they tend to become better at regulating their emotions and behavior [14,15]. Research indicates that make-believe play does not spontaneously arise in children. Rather, they are slowly taught under guidance. Mother’s typically have an especially important role here. Research shows that 75-80% of make-believe play was between mother and child . When children are 12 months old mothers initiate almost all make-believe play, but by the second year the ratio of initiation is close to 50-50. An important finding is that the more parents pretend with their children, the more time the children spend on make-believe. These cues make it easier for the child to understand that it is not real and that he or she can join in. The short story is that your child benefits from playing make-believe together with you. If you regard make-believe as something fun and exciting you do together with your child, you’re doing good. Temperament is viewed as stable individual differences in reactivity and self-regulation . Reactivity is how quickly and intensely we get emotionally aroused, shift our attention and spring into action. Self-regulation is how effectively we modify our own reactivity . Individual differences in reactivity and self-regulation tend to appear early. How children score on these two dimensions predicts how well they will be protected from psychological problems due to an early stressful life. New experiences and stimuli tend to excite the amygdala to a higher degree in shy children than in sociable children. The amygdala is the main brain structure behind avoidance behavior. It activates the sympathetic nervous system and prepares the body to react to dangers. The same experiences in sociable children leads to a very small reaction in the amygdala . The heart rates of inhibited children are consistently higher . It also speeds up even more in response to unfamiliar events. They have higher levels of the stress hormone cortisol [21,22]. And when they’re faced with new experiences they also tend to have more dilated pupils, higher blood pressure and colder fingertips [23,24].These responses are controlled to a large degree by the amygdala. When children do not overcome their shyness it increases the probability of developing problems with excessive cautiousness, low self-esteem and loneliness . It also increases the chances of developing severe anxiety and social phobia – an intense fear of being humiliated in social settings . Research indicates that genes only moderately contribute to shyness and sociability . Experience has been shown to have a powerful impact. Warm and supportive parenting reduces shy infants’ physical reaction to new experiences. When parents are cold and intrusive, on the other hand, it tends to increase anxiety [26, 27]. Overprotection makes it harder for shy children to develop the courage to face new experiences. It is better to make loving and caring demands for them to face new experiences. This helps them develop strategies for regulating fear . There is a proven way to calm down. After less than 8 weeks of meditation, scientists notice significant changes in the size of several brain regions on MRI scans [29, 30]. The fear center of the brain, the amygdala, has been found to shrink in size in response to meditation. Even as little as three days of meditation has been shown to reduce the activity of the fear center . Other brain areas increase in size – especially brain areas associated with attention, emotional regulation, mental flexibility and memory. Parents can start early giving their children strategies to let go of thoughts that are causing them trouble. As we have seen in this article, it is important that parents do this from a place of unconditional love. Put special emphasis on growth and effort, and use intersubjectivity and scaffolding to teach them within their zone of proximal development. Throw in some make-believe play about being buddhist monks and you’ll have a calm child in no time. There is of course an interaction between genes and environment in the development of children. You as a parent are only one part of the whole environment in which children grow up. Good parenting can only minimize the probability of difficulties. Do your best and let chance handle the rest. But the greatest of these is unconditional love. Related Universal Consciousness – "Focus on the now, but be aware of the ALL"
Vegard Gjerde is one of the two founders of Global Harmony Crew. Global Harmony Crew guides people towards deep self-realisation and powerful self-actualisation. Join the crew by subscribing and you will learn about everything from the deep metaphysical questions, to basic steps you can take in your day-to-day life to manifest happiness and fulfilment. Follow Global Harmony Crew on Facebook. Passer, M. et. al. ”Psychology – The Science of Mind and Behavior” 4th ed. McGraw-Hill, 2008. Assor, A., et al. “The emotional costs of parents’ conditional regard: A self-determination theory analysis”. Journal of Personality, 2004. Duckworth, A., Seligman, M. “Self-Discipline Outdoes IQ in Predicting Academic Performance of Adolescents”. Psychological Science, 2005. Mueller, C. M., Dweck, C. S. “Praise for Intelligence Can Undermine Children’s Motivation and Performance”. Journal of Personality and Social Psychology, 1998. Cimpian, A. et al. “Subtle Linguistic Cues Affect Children’s Motivation”. Psychological Science, 2007. Kahneman, Daniel. “Thinking, Fast and Slow”. MacMillian, 2001. Berk, L. E. Child Development. Pearson, 2013. Berk, L. E. Harris, S. Vygotsky, Lev. In L. Nade. Encyclopedia of Cognitive Science, 2003. Newson, J, Newson, E. “Intersubjectivity and the transmission of culture: on the social origins of symbolic functioning”. Bulletin of the British Psychological Society, 28, 437-446, 1975. Bornstein, M. et al. “Toddler language and play in the second year: Stability, covariation, and influences of parenting”. First Language, 1992. Berk, L. E., Spuhl, S. T. “Maternal interaction, private speech, and task performance in preschool children”. Early Childhood Research Quarterly, 1995 . Neitzel, C. Stright, A. D. “Mothers’ scaffolding of children’s problem solving: Establishing a foundation of academic self-regulatory competence”. Journal of Family Psychology, 2003. Berk, L. E. et al. “Make-believe play: Wellspring for development of self-regulation”. Play = Learning, New York, Oxford University Press, 2006. Lemche, E. et al. “Emotion-regulatory process in evoked play-narratives: Their relation with mental represenations and family interactions”. Praxis der Kinderpsychologie und Kinderpsychiatrie, 2003. Haight, W. L., Miller, P. J. “Pretending at home: Early development in a sociocultural context”. Albany, NY: SUNY Press, 1993. Lillard, A. “The science behind the genius”. New York, Oxford University Press, 2007. Rothbart, M. K., Bates J. E. “Temperament”. Social, emotional and personality development. Hoboken, NJ: Wiley, 2006. Kagan, J., Fox, N. A. “Biology, culture and temperamental biases”. In handbook of child psychology, Hoboken, NJ: Wiley, 2006. Schmidt, L. A. et al. “Shyness is a necessary but not sufficient condition for high salivary cortisol in typically developing 10-year old children”. Personality and Individual Differences, 2007. Schmidt, L. A. et al. “Behavioural and neuroendocrine responses in shy children”. Developmental Psychobiology, 1997. Schmidt, L. A. et al. “Behavioural and psychophysiological correlates of self-presentation in temperamentally shy children”. Developmental Psychobiology, 1999. Kagan, J., et al. “Infant temperament and anxious symptoms in school-age children.” Development and Psychopathology, 1999. Kagan, J., et al. “The preservation of two infant temperaments into adolescence”. Monographs of the society for Research in Child Development, 2007. Fordham, K., Stevenson-Hinde, J. “Shyness, friendship quality, and adjustment during middle childhood.” Journal of Chiuld Psychology and Psychiatry, 1999. Coplan, R. J. et al. “Don’t fret, be supportive! Maternal characteristics linking child shyness to psychosocial and school adjustment in kindergarten.” Journal of Abnormal Child Psychology, 2008. Hane, A. A. et al. “The role of maternal behavior in the relation between shyness and social reticence in early childhood and social withdrawal in middle childhood”. Social Development, 2008. Rubin, K., Burgess, K. B. “Parents of aggressive and withdrawn children”. Handbook of Parenting, Hillsdale, NJ: Erlbaum, 2002. Luders, E. et al. “The underlying anatomical correlates of long-term meditation: Larger hippocampal and frontal volumes of gray matter”. Elsevier, 2009. Hölzel, B. K. et al. “Stress reduction correlates with structural changes in the amygdala”. Social Cognitive and Affective Neuroscience, 2010. Taren, A. A. et al.” Mindfulness meditation training alters stress-related amygdala resting state functional connectivity: a randomized controlled trial”. Social Cognitive and Affective Neuroscience, 2015.